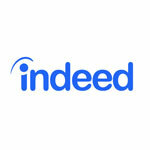 New research from Indeed and Team London, the Mayor of London’s volunteering initiative, reveals the big mismatch between jobseeker and employer attitudes to volunteering. With two thirds of business leaders hailing the importance of volunteering experience in a prospective employee, the research reveals that of the 54% individuals in the UK who have volunteered, just under a third (31%) have included this experience on their CV. Amongst those who have chosen not to include this experience on a CV, one in five say they don’t think the volunteering experience gained is relevant, a further 20% hadn’t considered it as something that might help in their job search and 18% say they don’t understand how skills learned through volunteering can be used in paid work. By contrast, the top four skills that employers value from volunteering experience, include: teamwork (73%), confidence (73%), communication skills (71%) and self-motivation (68%). Despite the positive response from decision-makers, the report reveals that just 45% of employers say that their business recognises volunteering experience in recruitment practices - though this rises significantly to 60% amongst larger businesses with over 250 employees, and most notably within the medical and health services industry (65%). It is clear that volunteering experience comes into sharper focus after the initial application phase, once a candidate is selected for interview. Although only 15% of businesses report that they actively search for volunteering experience on a CV, 41% say that they often ask a specific question about this when interviewing candidates. Just over half (51%) say they would consider volunteering experience as a deciding factor when choosing between two very similar candidates. This enthusiasm for volunteering extends beyond the application stage with almost half (48%) of UK employers believing that it is important to offer their staff volunteering opportunities. However, only 21% of employers report that they use this as a means for staff development. This link is not clear for jobseekers either – just 12% agree that volunteering is relevant for workers looking to expand their skills or gain new experience.